Fair. Front cover ton **SHIPPED FROM UK** We believe you will be completely satisfied with our quick and reliable service. All orders are dispatched as swiftly as possible! Buy with confidence! Fine. 000624565X ALL BOOKS SHIPPED WITHIN 1 DAY OF PURCHASE! Very Good. 000624565X ALL BOOKS SHIPPED WITHIN 1 DAY OF PURCHASE! Received the book sooner than expected, great condition. Lewis's take on two demons....one....old and wise...the other....young....and inexperienced. How to go about capturing a soul for their master....Satan,himself....and the pitfalls that can arise when one tries to keep the soul from ending up with the Enemy....God! My son needed this book for class - in great condition and just what he needed. Once you get used to God being called the Enemy of the letter writer you begin to realize the insidiousness of Satan's role in challenging believers as they grow spiritually. 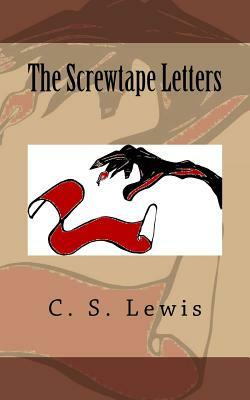 Uncle Screwtape makes it clear that being a Christian means being alert to worldly influence at all times. Books arrived in good shape, price was right, shipping- -very prompt!